Exploring topics such as the soul, karma, reincarnation, and meditation, this book will help awaken within you the spiritual insights great teachers have spoken of for thousands of years. 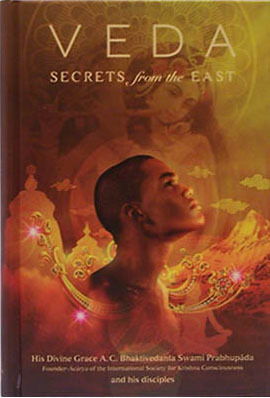 Veda explores the secrets of spirituality found in the ancient writings of India. Probing into topics such as the soul, karma, reincarnation, and meditation, this book will help awaken within you the spiritual insights great teachers have spoken of for thousands of years. What lies beyond death, and what would you do if you had only a few days left to live? Despite an abundance of comforts and conveniences, why do many still feel dissatisfied, empty, and lacking in purpose? Are day-to-day occurrences predestined, or is life an interplay of fate and free will? In this book, Srila Prabhupada and his followers address the most crucial questions of our existence.